Join us for this fun walk where we will incorporating our love of walking with our love of photography! The walk will begin at Ampthill park, a fascinating heritage site, most noted for Ampthill castle, where Henry VIII stayed. The walk continues to the haunted Houghton house, a 17th century mansion, designed to be a hunting lodge. 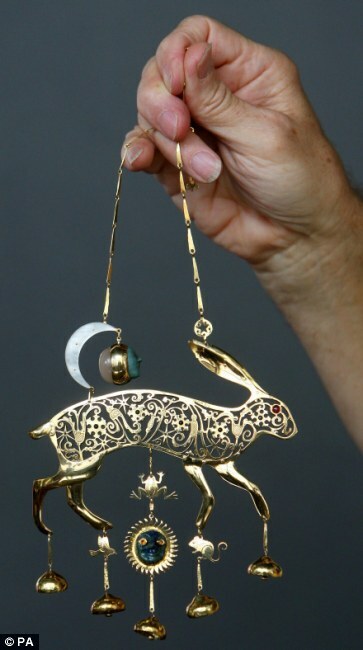 Andrew will be telling us the fascinating story of the magical golden rabbit treasure that prompted hundreds of people to start digging for this treasure! During the walk, one of our resident photographers, Josie will be teaching about photography and the tips and tricks for taking a great picture. Bring your camera, any camera will do, even the ones on your phone. If anyone wants to be a model, and is comfortable being in front of the camera feel free to dress up a bit and come along…what better surroundings than the castle where Henry VIII stayed! The walk will be 8km long, finishing with a picnic in the park so if everyone brings along some food we can share it around. Bring lots of water! This entry was posted in Blog, Local walk, More than walking, News, Past events, Walks and tagged Ampthill, Camera, Photography. Thursday 1 August – Mystery trip to the Seaside!